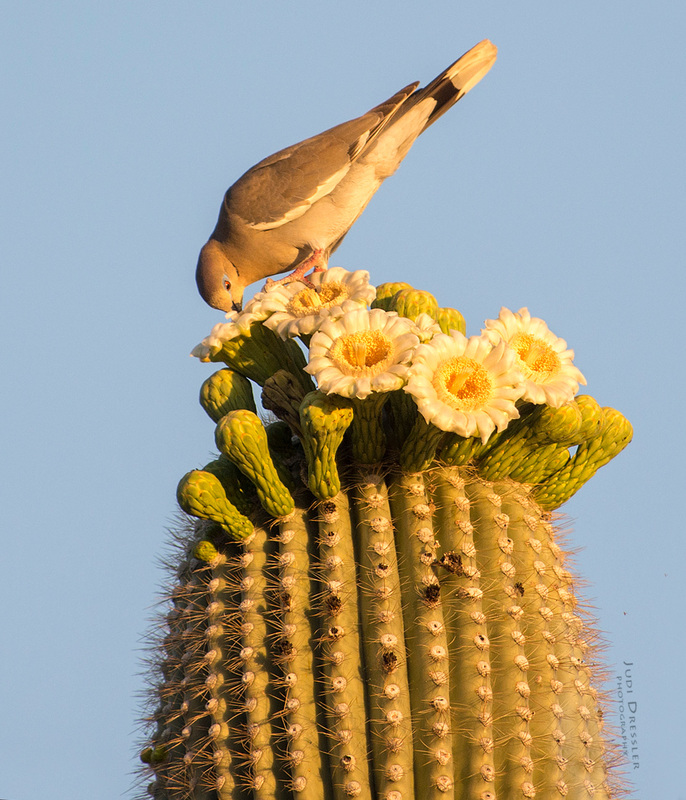 We drove through the edge of Saguaro National Park in the Arizona desert, looking for birds on top of the immense, tall saguaro cacti that dotted the landscape. Almost always, when we did see a bird, it was a White-winged Dove, which surprised me (being not from AZ), as I somehow thought they would be hawks or other, rougher-type birds. Those blossoms might just be delicious!